The Tampico incident can be summed up as an overreaction to a minor incident. It began on April 9, 1914, in a town of Tampico, a Gulf coastal town of Mexico. The sailors had gone to purchase gasoline fuels totaling 440 gallons which were needed urgently. Unfortunately, the dealer was located at Iturbide Bridge, a position under the surveillance of Huerta’s forces. 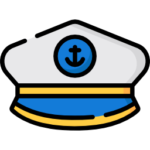 Seven of the sailors were moving the cans of fuels while two remained in the boat. The Mexican forces noticed the activity and confronted them. Unfortunately, both parties didn’t understand each other’s language which led to the U. S. sailors not complying with the orders of the soldiers. The soldiers arrested the sailors including the two in the boat and forcibly took them to the police headquarters for questioning. Some accounts of the Tampico incident put it that the U.S. sailors strayed into an area that was off-limits and was paraded through the town, amidst a hostile crowd. The soldiers were released after a few minutes, but the relationship had already been further severed. The Mexican higher authority ordered the immediate release of the soldiers. In addition, the officials released an informal apology regretting the actions. One would expect that the matter would be swept under the carpet as a case of misunderstanding but what followed was a cataclysmic reaction from the United States. 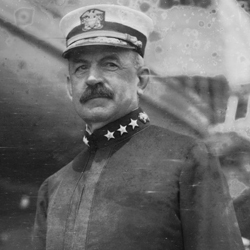 Admiral Henry T. Mayo, the then commander of the United States Fleet, would not accept a hasty apology and lined up a number of conditions Mexico’s commander must fulfill to avoid retaliation. This included the hoisting of the United States flag on Mexico soil, a formal apology against the informal apology, and 21-gun salute. Mexico commander didn’t hesitate to tender a formal apology but refused adamantly to honor the other requests. 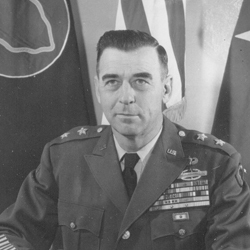 Eleven days later, on April 20th, Wilson approached Congress for an approval of armed response in Mexico. Two days later Congress gave their nod leading to a full-blown war. Alas, the Tampico incident may not be a case of misunderstanding. It tends to reflect the hostile relationship between the United States and Mexico at that time. There was a breakdown of diplomatic relationships between the two countries at that time. 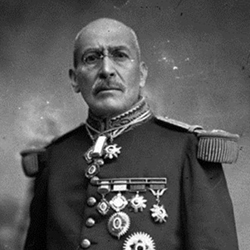 Woodrow Wilson, the United States President at that time refused to recognize General Victoriano Huerta who was installed the previous year (1913) as the president of Mexico notwithstanding that the Embassy Pact that brought him into office was signed in the presence and approval of US Ambassador, Henry Lane Wilson. Again, the United States was concerned about the ongoing Mexican Revolution which was threatening the lives and economy of United States citizens in the country. 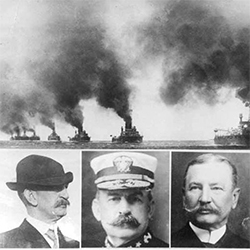 Following the Tampico Incident, President Wilson gave Admiral Mayo the go-ahead to increase United States forces on Mexican soil. 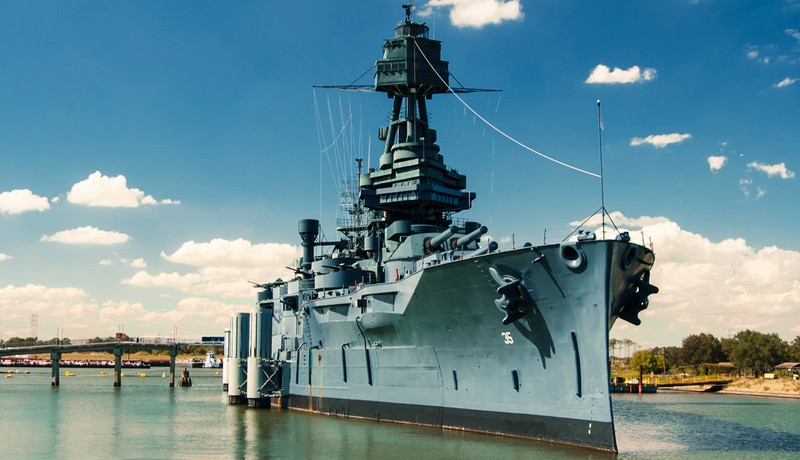 A lot of factors made Texas BB 35 a marvel at that time. 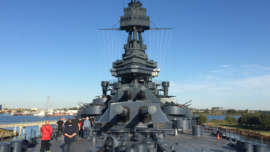 Besides the fact that it could fire 14” shells, it was yet to undergo shakedown cruise and post-shakedown repair cycle. The ship responded to the impromptu call and stayed in Mexican waters for the next two months. 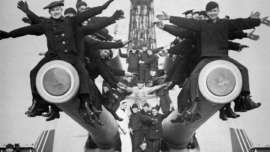 It was part of the squadron commandeered by Rear Admiral Frank F. Fletcher. By April 21, President Wilson charged the Navy to seize the port of Veracruz which was anticipating the arrival of SS Ypiranga, a German ship carrying ammunition intended for Huerta’s forces. 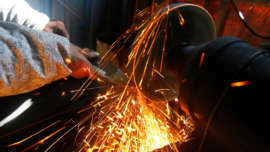 The series of events that followed was largely criticized by Mexican legislators. United States flags were burnt by mobs and businesses belonging to U.S. citizens looted in Mexico City. The situation was so dire in the west coast of Mexico that two hundred and fifty Americans had to hide in the consulate building of Ensenada, Baja California to avoid being mobbed. With the battleships Utah and Florida standing offshore, the armed response from the U.S. was inevitable. The invasion of Veracruz was not a secret mission because the American consul notified the commanders of the area of imminent landing by soldiers of the United States. Before noon of the same day, about three hundred U.S. sailors and five hundred soldiers were on shore. Overwhelmed by the number of refugees, the consul cabled Washington and the USS Cheyenne was dispatched from San Diego. 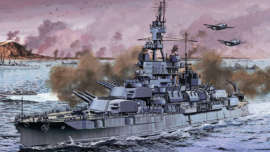 The Dispatch of American warships to Mexican waters including Texas BB-35, Virginia BB-13, Ohio BB-12, Minnesota BB-22, Michigan BB-27, New York BB-34 among several others indicated that the misunderstanding has escalated into a full-blown war. The shooting of Americans by a local policeman who was killed in a return fire further widened the thought of peace. U.S. reinforcements arrived overnight to secure the city. The tactics of advancement of the Marines were as follows; cadet retreat from academy building which was to be occupied by civilian snipers. Thinking that the city is secure, Captain Edwin Anderson of the USS New Hampshire matched his men forward along the Calle Francisco Canal in a quest to enter the city but met heavy gunfire from the Mexicans. 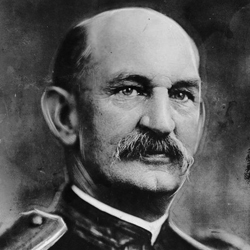 The casualty figure stood at 9 dead U.S. soldiers and 72 sustaining different degrees of injuries but the figure was staggering on the side of the Mexicans.